Jersey is ready for the tornado. They've practiced it every year since she was little. She knows that you go to the basement and ride it out. She isn't too keen on having to go through it alone and she's nervous about her mother and sister who are at the dance studio. What Jersey wasn't ready for the noise and the aftermath. Jersey loses everything to the tornado and is shipped off to live with her alcoholic father. When that doesn't work she goes to live with her grandparents that she didn't even know existed. Jersey isn't sure where home is anymore now that she doesn't feel like she belongs in any of the places she's shipped to. She'll slowly realized that you sometimes have to make the most of it and redefine what losing of everything really means. Reading this book came at a hard time for me. I had just lost someone that I was fairly close to and so this book made me quite emotionally distraught. I think I still would have been distraught regardless of that. This was such a raw and honest novel. Jersey was all over the place emotionally and it was totally realistic. Her situation just kept getting worse and worse and worse. Since this book takes place over only a short time, there is no real happy ending. Things start to look up though, so that's a nice thing. I didn't really care much for most of the secondary characters, they all fell a bit flat. I did like Kolby and wished he played a bigger part in this novel. I feel like this novel took place in the moment. There was no past and there was no future, we were thrust right into the moment with Jersey. I think this is why some of the story and characters were underdeveloped. This was an intensely emotional read just like all of Jennifer's other novels. I enjoyed it though and learned a lot about tornadoes from it. I would definitely recommend this if you like heart-wrenching reads. "Marin wanted to teach me the East Coast Swing." "If what he said was true, the story of my life was a lie." "Meg's pink mouth had been replaced by a much larger red one." "'Hold your breath. You don't want to breathe in judgment. Oppression is contagious.'" "I'm wondering if it's even possible to lose 'everything' or if you just have to keep redefining what 'everything' is." 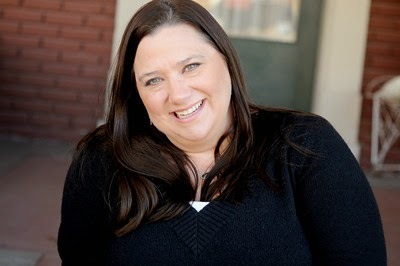 Two-time winner of the Erma Bombeck Global Humor Award (2005 & 2006), Jennifer's weekly humor column appeared in The Kansas City Star for over four years, until she gave it up to be a full-time young adult novelist. Jennifer writes and lives in the Kansas City, Missouri area, with her husband and three children. Thanks to Itching for Books and the publisher I get to have a giveaway for one paperback copy of this novel. This is open to U.S. residents only. Please enter the Rafflecopter giveaway below. 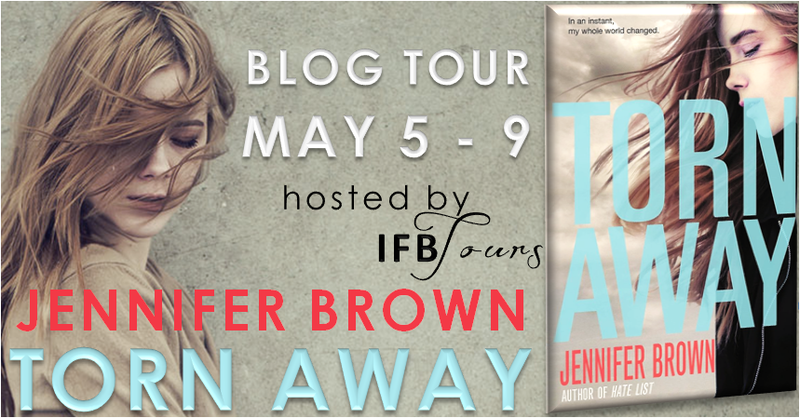 My favorite Jennifer Brown book is Hate List, so compelling! 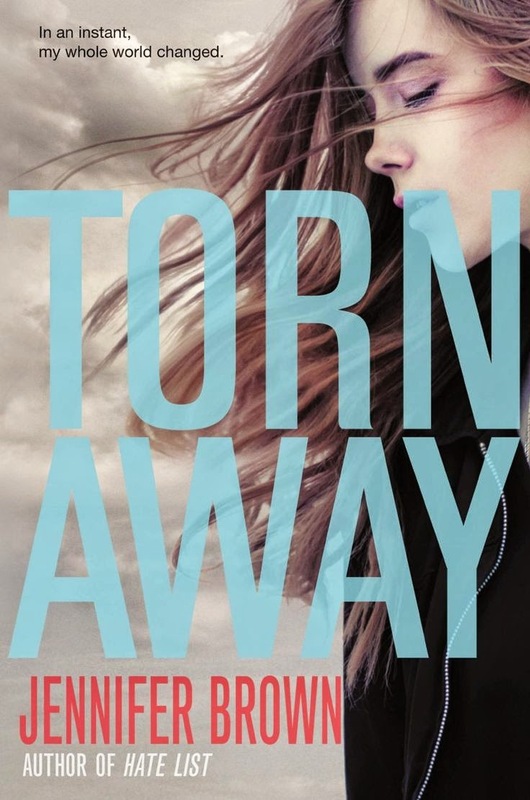 I read so many great reviews of Torn Away I'm looking forward to reading it.